Alec's sister had a baby girl (her first!) at the beginning of the month. They kept it a surprise to whether they were having a boy or girl, so I had to be clever in coming up with an appropriate gift. 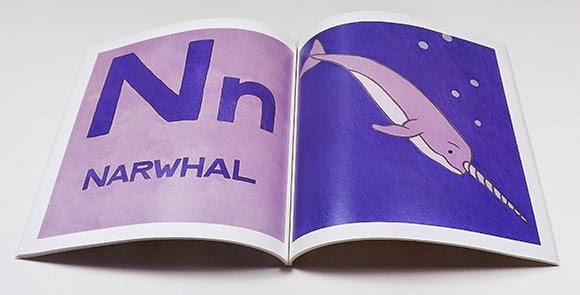 In 2007, Alec made a series of acrylic animal paintings that he turned into an alphabet book. 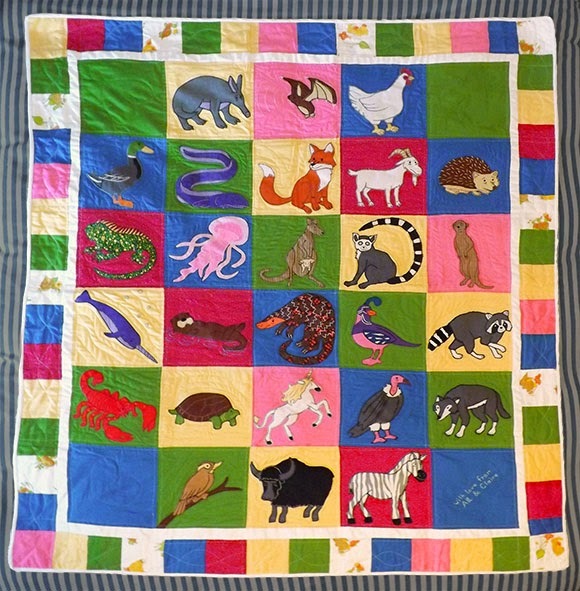 I took those awesome images, turned them into appliquéd fabric patches and sewed them all together to make a quilt. Alec had different background colors for each of his paintings but I limited the background patch colors so it wouldn't be too crazy. For some fun texture I tried to incorporate printed fabrics where they seemed to fit. 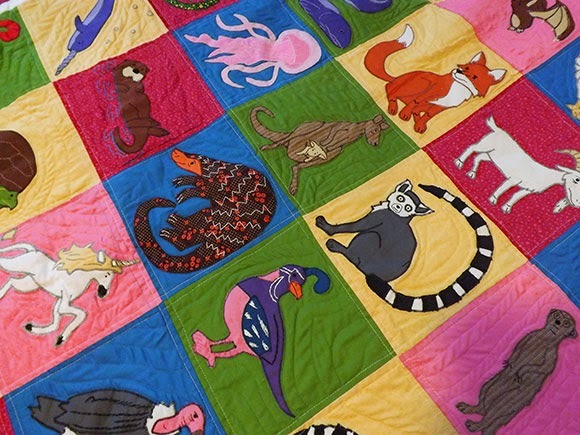 I machine quilted the layers together to save some time. 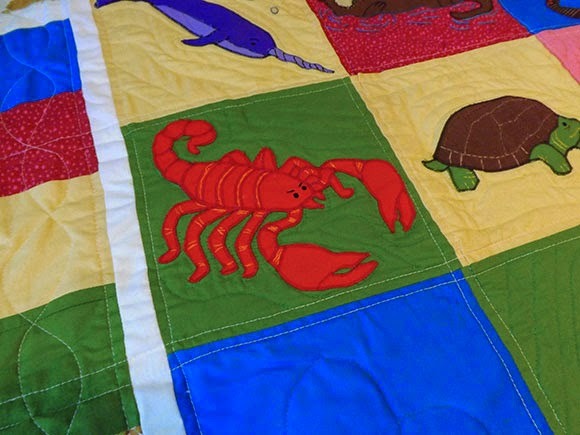 My favorite patch on is the scorpion, I like that he's a little angry. 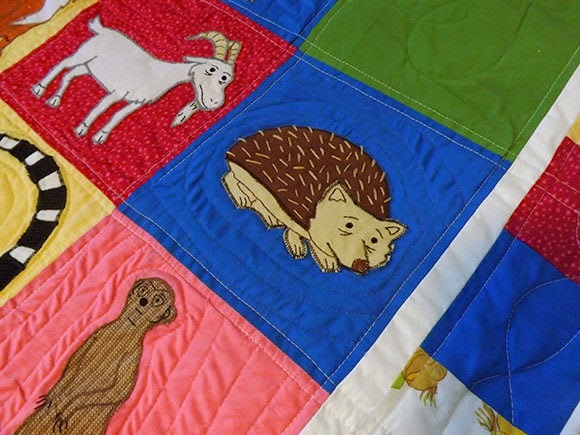 I also think the embroidery on the hedgehog quills turned out well. 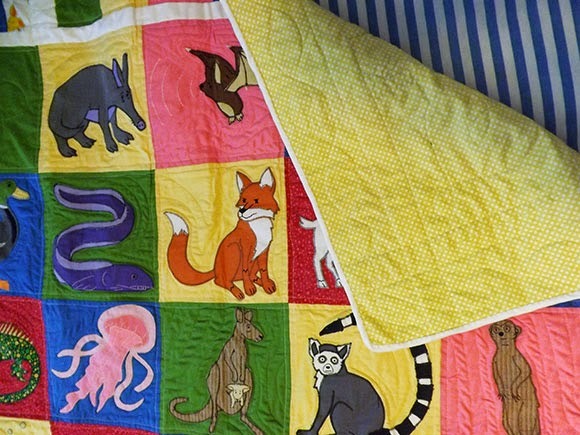 The quilt is backed in soft, yellow flannel. I'm hoping it will get lots of cuddles and maybe even be made into some forts. 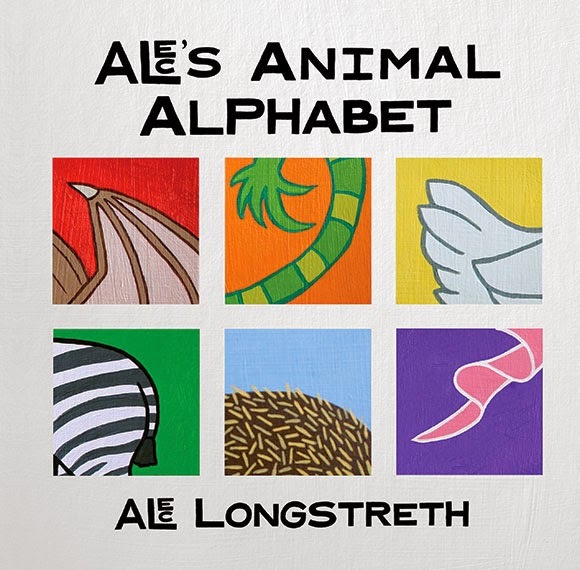 You can buy Alec's Animal Alphabet book on Lulu.com.